1. A valid, signed US passport. The passport must have at least 6 months remaining after completion of stay in South Sudan, and contain at least one blank visa page. A signed passport whose expiry date is no less than 180 days and a photocopy of the passport attached to the application form. 4. Please send a copy of your round trip airline tickets, or itinerary or e-ticket, or letter of confirmation from a travel agent. The itinerary must show the applicant’s name, date of arrival and departure from the country, and flight information. 6. A deposit slip/confirmation receipt (if paid online) as proof of payment of the non-refundable application fee at Standard Bank to an account of the Embassy of the Republic of South Sudan (017 733 251) Branch code ZA-01-15-45 (Hatfield). 5. 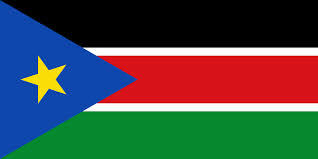 Money order payable to “The Embassy of the Republic of South Sudan”. A South Sudanese guarantor who pledges to take care of the expenses of the alien during his/her stay in South Sudan. 8. A certificate of inoculation or Immunization for yellow fever. (d) Visa applicant without all the requirements will not be processed. American Nationals and holders of U.S. Green Card: Nationals and holders of U.S. Green Cards who are traveling to South Sudan with American Passports, and U.S. Travel Documents, must fulfill all visa requirements, and will be CHARGED a visa fee of $160.00 USD. Former South Sudan Citizens: Provide proof of South Sudanese nationality (copy of South Sudanese passport, copy of Nationality Certificate, and copies of parents South Sudanese passport or their Nationality Certificate). If applicant was not born in South Sudan he/she must provide a copy of his/her South Sudanese Birth Certificate or his/her American Birth Certificate with a copy of the parents South Sudanese document. 2. One fully completed and signed South Sudan Visa Application all the questions answered. If hand written, must be in Capital Letters and legible. Please note that the application fee is non-refundable, even in the case that the application for an entry visa is denied.